Product categories of Industrial Gigabit Ethernet POE Switch, we are specialized manufacturers from China, Industrial Gigabit Ethernet POE Switch, Industrial Gigabit POE Switch suppliers/factory, wholesale high-quality products of Industrial Gigabit Ethernet Switch R & D and manufacturing, we have the perfect after-sales service and technical support. Look forward to your cooperation! Industrial Gigabit Ethernet POE Switch is an Industrial Fast Ethernet Switch with ports, supporting 10/100BASE-T ports. industrial gigabit Ethernet POE Switch series is packaged in a compact IP40 case that allows either DIN rail or panel mounting for efficient usage of cabinet space. 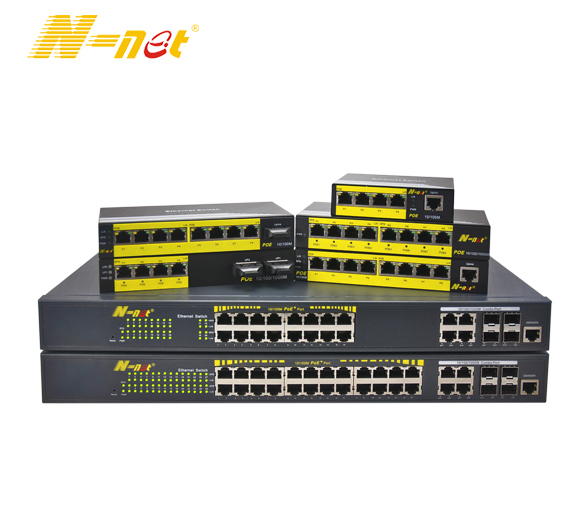 industrial gigabit Ethernet POE switch series can support ports POE function (Optional), powering PD like HD IP Camera, wireless AP, IP phone and so on.